So cutesy and summery. Love the orange shoes. 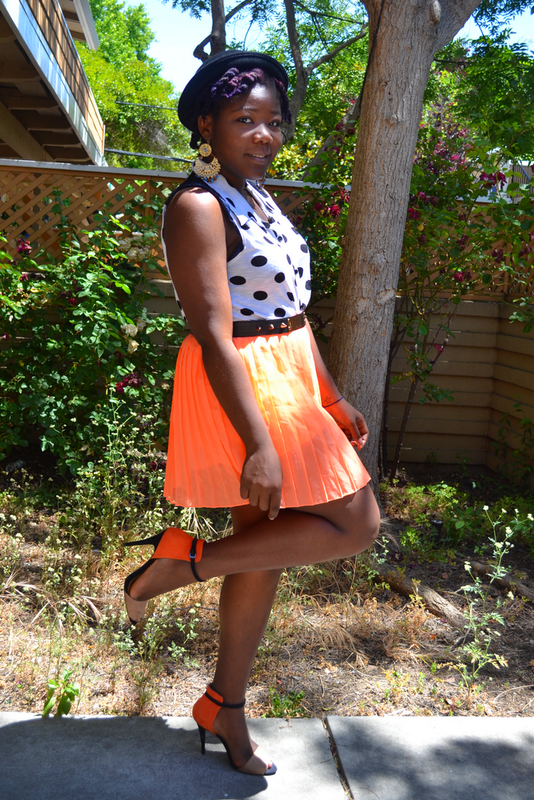 that orange skirt is so much fun!! awww, yes! This is so cute! 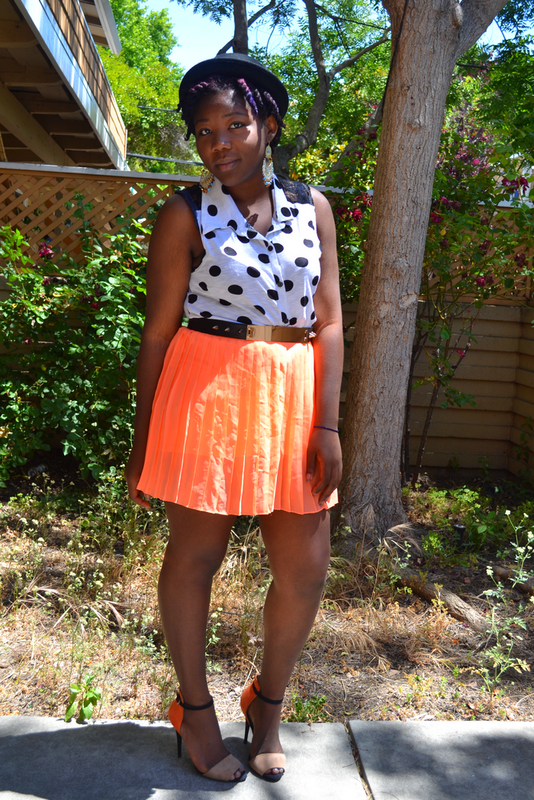 Shoes,belt, top and skirt! 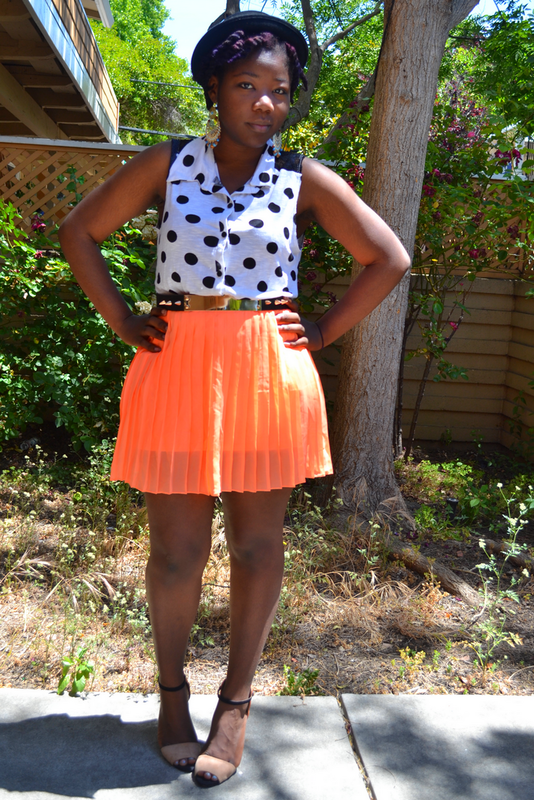 I love that skirt with those shoes girl, FAB! Seems like you're gaining some weight or is it me? Anyway love the outfit da skirt is banging! you're looking so hot in here... love orange! J'aime la couleur de ta jupe ! This is too cute. 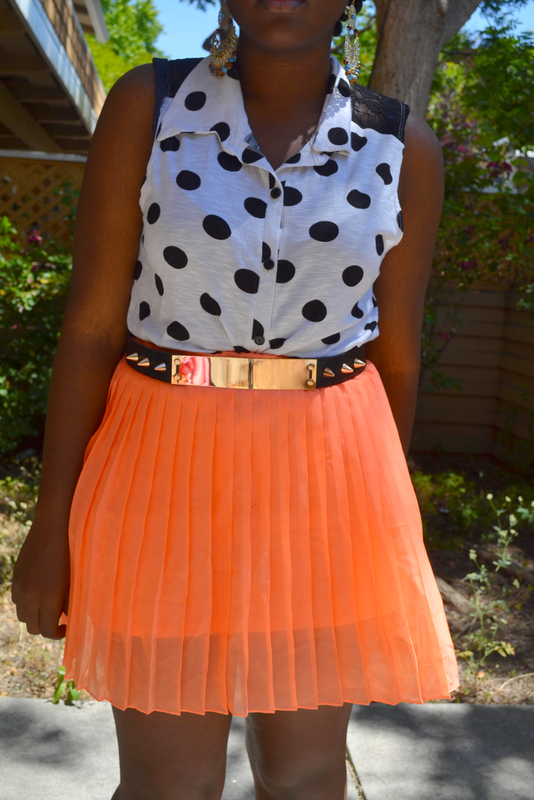 Love the polka dots top and orange skirt. tropp canon et stylée!!! j'adore tes vanilles mixées avec le chapeau melon, trop cool!! !